Cheaper Car Hire in Bahamas. Compare reduced rental prices for jeep, moke, SUV & convertible vehicles in Bahamas.. 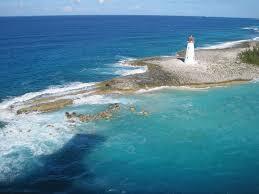 Compare and book quality Bahamas car hire at cheap prices. Get an economy size, or SUV, but nothing larger at the moment. Avis are the main car hire company we use on the island. The cars at kept at both Nassau and Grand Bahama Airports, as well as Paradise Island, the ferry ports and downtown. Get free amendments and cancellations, as well as recovery cover, insurance and excess reduction, along with unlimited mileage. Only the prices are discounted, not the level of service or quality of vehicle. There are more than 700 islands that comprise the Bahamas and are spread over more than 5000 square miles of clear blue sea water and are home to more than 300,000 Bahamian people. Nassau is the capital city and there are lots of scenic spots that are worth visiting around here as well. 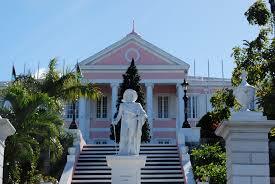 Start with the Ardastra Gardens, Queen's Staircase, Paradise Island, and the Fort Fincastle and Water Tower. All of these are just a short driving distance away from the city centre. Some of the beaches of Nassau are actually underdeveloped. Stop by one of them sometime, park your rental car, and appreciate nature's beauty at its most virgin form. Check out the Grand Lucaya Waterway, which is also the island's lowest bridge. There are beautiful beaches along the way as well, more particularly the ones falling within the boundaries of the fishing villages of High Rock, Pelican Point, and Freetown. This is one of the most preferred activities here, despite the fact that only 30 islands are inhabited. For get from one island to another, you will need to hire a water taxi. Still, Bahamas is linked by a network of 1,688 miles of road that are rightfully a highway. Around 970 miles of which are paved. Year on Year Goings On:- January has The Bahamas World Tour Bowling Classic and Bahamas Marathon. March hosts the renowned Billfish Tournament in Freeport. February sees the Wahoo festival on Bimini, where anglers and those wanting to be Earnest Hemingway gather. 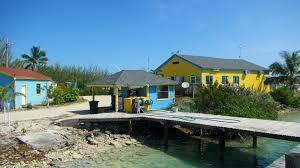 Then there is the Farmers Cay festival, which has nothing to do with farming and is held all at sea. Don't miss the boat on reduced Bahamas motoring costs. Drive Bahamian scenic routes in a cheaper set of wheels. Good rates for motoring in Nassau and cruising along beach roads. Coming here, you will most likely arrive at the Grand Bahama International Airport, on the Grand Bahama Island. From there, you can easily get to Freeport, which is one of the major cities and a free trade zone. Expect to go through a long 50-mile drive from the airport. Do not worry because the trip iswell compensated by a very scenic route. With hundreds of islands in the Bahamas, you should pay a visit to the official Bahamas Tourist Board to get an inkling of where you go and what you can do.